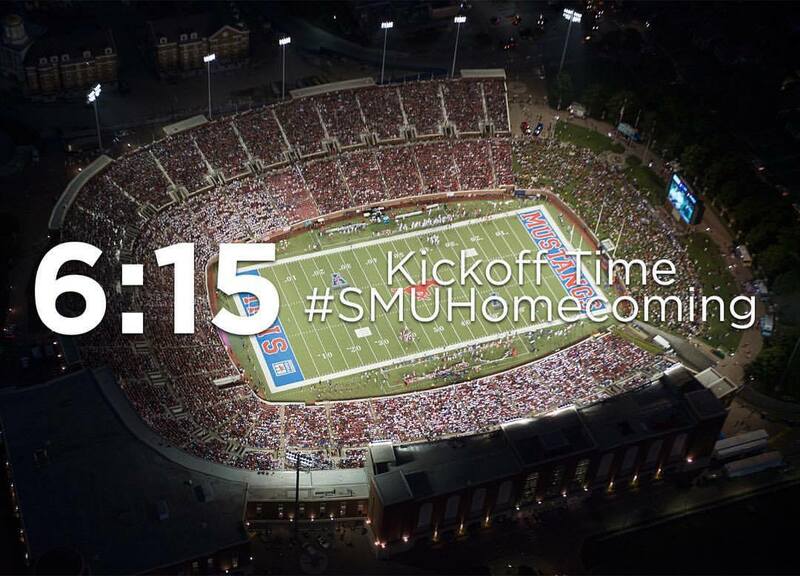 SMU Homecoming Kickoff Time Announced. Come Boulevard with Dedman College. SMU Homecoming kickoff time is 6:15pm and the homecoming parade on the Boulevard starts at 3:15pm. Join us Saturday at the Dedman College tent on the corner of Bishop & Binkley for food, beverages, and cheering on the Mustangs! By Katherine Nickles| 2017-10-31T00:24:25+00:00	October 30th, 2017|Anthropology, Biology, Chemistry, Dedman College of Humanities and Sciences, Earth Sciences, Economics, English, Events, History, Mathematics, Philosophy, Physics, Political Science, Psychology, Religious Studies, Sociology, Statistical Science, World Languages and Literatures|Comments Off on SMU Homecoming Kickoff Time Announced. Come Boulevard with Dedman College.